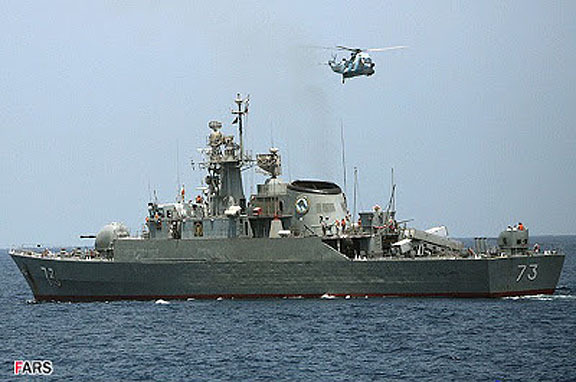 The Iranian Navy's 27th fleet of warships docked in Port Sudan...the Navy announced on Wednesday. The fleet of warships is comprised of Khark warship and Sabalan destroyer. Khark has 250 crewmembers and can carry three helicopters. The Navy's public relations office said in a statement that the fleet docked in Port Sudan after conducting a month of naval mission in the regional waters and the Red Sea. The statement added that the flotilla provided safe passage for 14 trade ships and oil tankers during its anti-piracy mission. 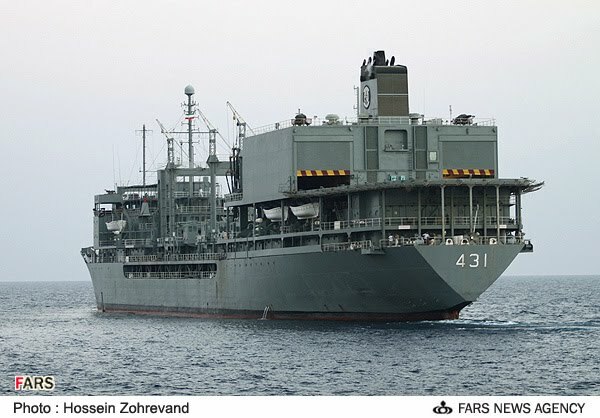 Latest IRIN task force comprising IRINS Sabalan (73) Alvand (Saam) class (Vosper Mk5 type) frigates, and IRINS Kharg (431) Kharg (modified OL) class replenishment ship.